These fabrics are thin satin fabrics that work very well for garters. If you are looking for a specialty garter, using silks, bridal fabrics, or something else altogether, please email us as we would be more than happy to create a product listing just for you! Prices for specialty fabrics will vary. If you have extra fabrics from your wedding party dresses, or just want to purchase your fabric yourself, we welcome that as well. Two color garters are available. 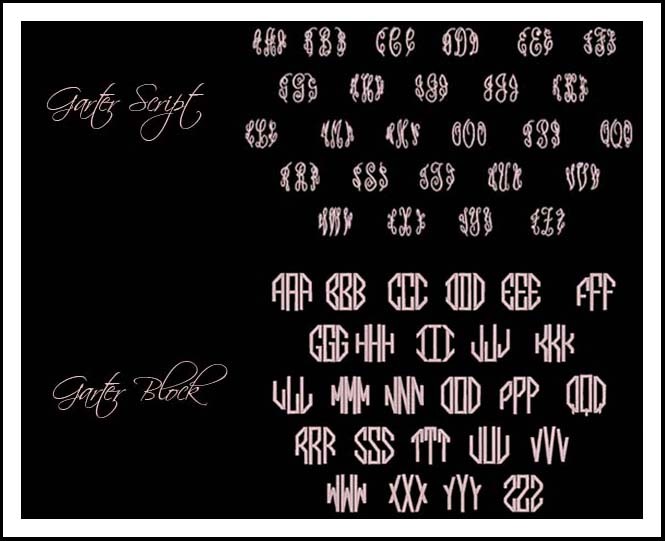 These would be for sports teams, or anyone wanting to incorporate more color into their garter. 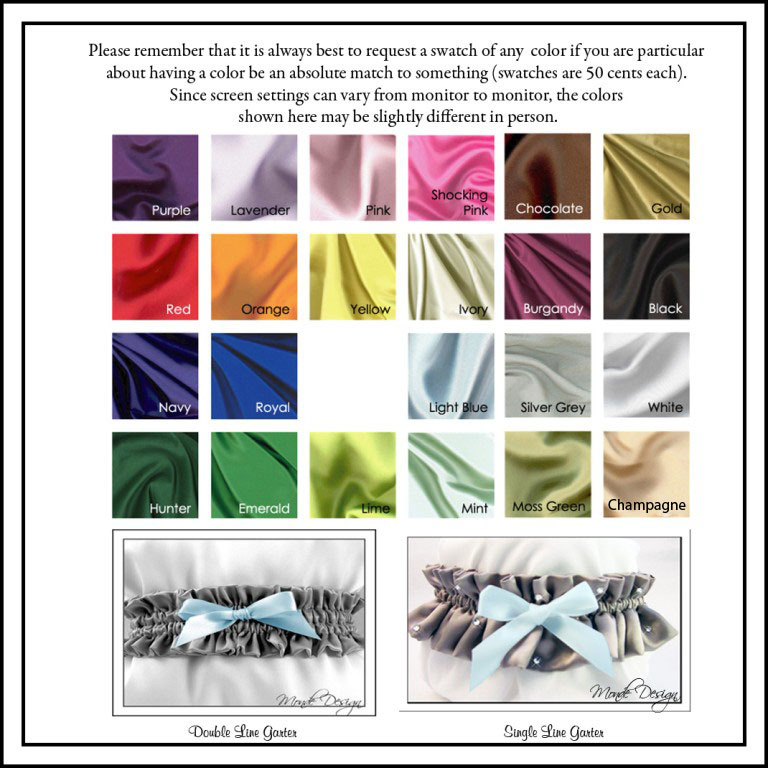 There is an additional charge of $3 for a two color garter, and the option is in the color option of the garter ordering pages. Simply choose the two color option, and put your color choice in the order notes. If you have any questions about that, email us at any time! Please keep in mind that these sizes are approximations. Since they are made by hand, each garter will vary just a little bit. The sm/med garter is about 14-15" around. A single line garter will stretch fairly comfortably up to apx. 20" around, and the double line garter will stretch comfortably to about apx 22" around. A med/lrg size garter is about 16-17" around. A single line garter will stretch fairly comfortably to about 26" around, and the double line will stretch comfortably to about 28" around. If you are getting close to the top range of the sm/med, then we suggest moving up to a med/lrg size garter, just for comfort. If you need a larger or smaller size, put your thigh measurement in the notes and I will make a garter to accommodate your size. We want to make sure that the garters are comfortable for you! The garters we make should feel soft on the leg, and not something that is going to bother you on your wedding day. So make sure you choose a garter size that will be comfortable.